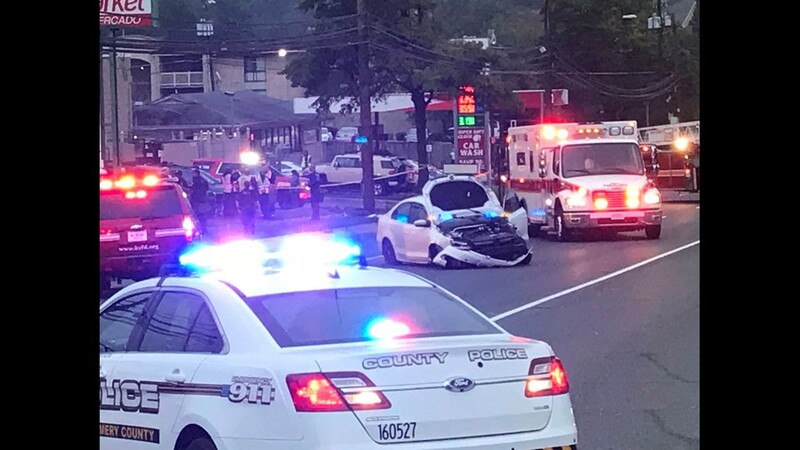 Police said a blue Ford and a white Volks Wagon collided northbound on Georgia Avenue, causing the Volks Wagon to leave the roadway and hit the students. MONTGOMERY COUNTY, Md. 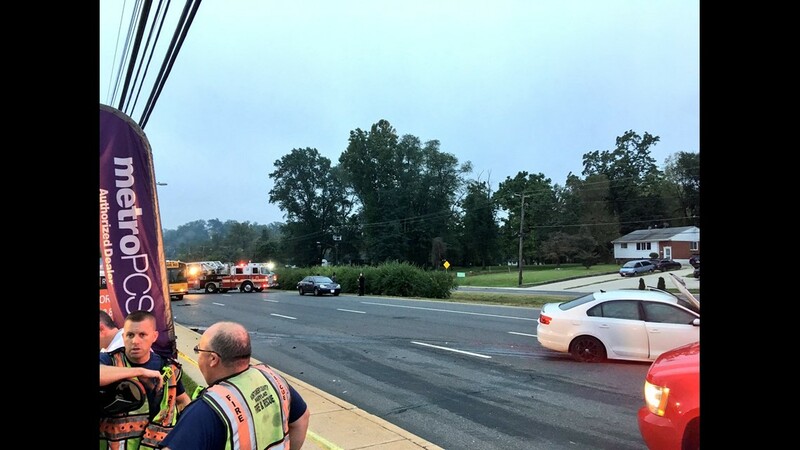 -- Four students were transported to the hospital early Tuesday morning after a serious crash closed all lanes of northbound Georgia Avenue (MD 97) between Hewitt Lane and Ralph Road in Silver Spring, Maryland, Montgomery County police said. Around 7 a.m, police received a call for a serious pedestrian crash. It was a cloudy, warm morning when four students, between 14 and 15 years old, were waiting on the sidewalk for the bus to take them to Kennedy High School. An investigation revealed that a blue 2007 Ford Five Hundred had exited a gas station located at 13615 Georgia Avenue and was traveling northbound Georgia Avenue. A white 2014 Volkswagen Jetta was also traveling northbound Georgia Avenue. 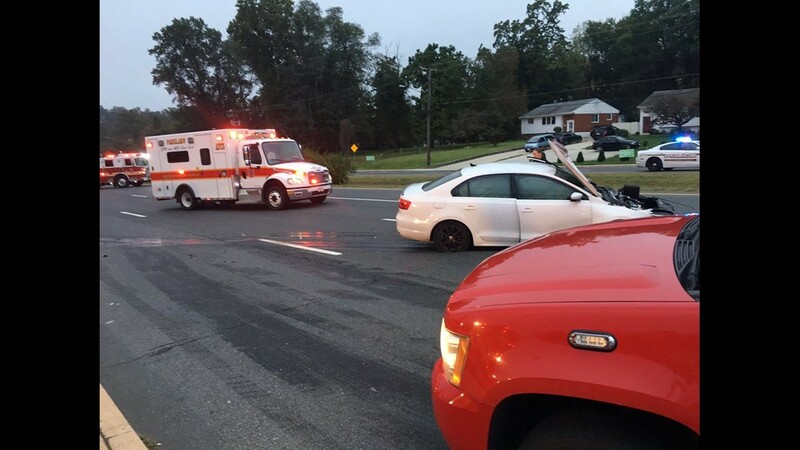 For reasons still under investigation, the two vehicles collided and the Volkswagen then left the roadway. The Volkswagen struck four John F. Kennedy High School students who were waiting for the school bus on the sidewalk at a bus stop in the 13600 block of Georgia Avenue. 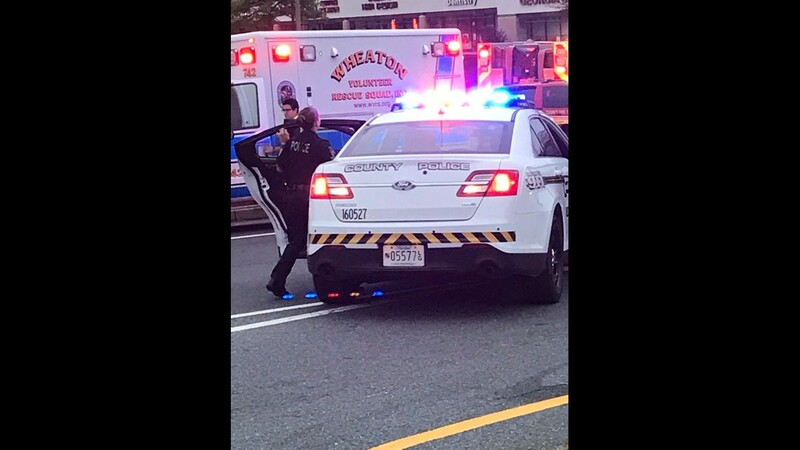 The driver of the Volks Wagon, identified as Henri Josue Guevara Chicas, 21, of Silver Spring, Md., was taken to the hospital and the other driver remained on the scene. 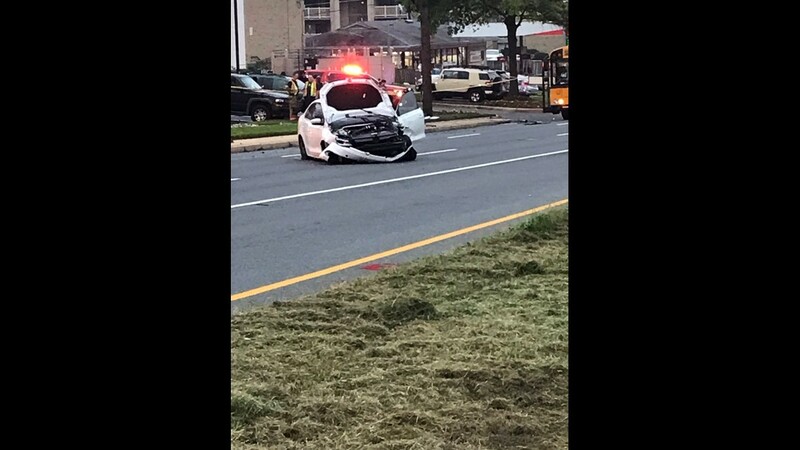 The driver of the Ford Five Hundred, Saihou Bunama Bojang, 25, if Silver Spring, Md., was not injured. A 25-year-old passenger in the vehicle was also not injured. The four pedestrians include a 15-year-old male, two 14-year-old females, and a 15-year-old female. The 15-year-old male was transported to the hospital with life-threatening injuries. The three female pedestrians were transported to the hospital with non-life-threatening injuries. Following the collision, a yellow school bus approached the scene, but it was not involved in the collision. Police left the bus inside the caution tape, so it would not affect any of the evidence being collected. Police say the investigation is ongoing. Anyone with information is asked to call the Collision Reconstruction Unit at 240-773-6620.